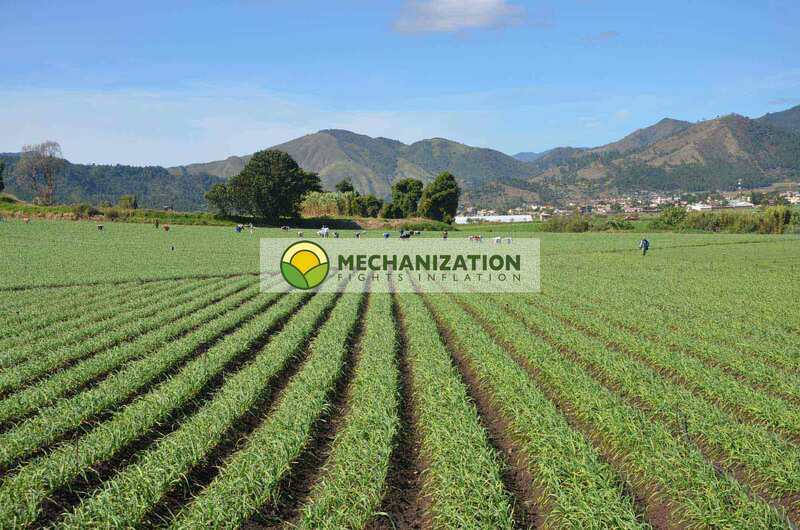 Mechanized peeling of roots, onions and fruits. We have a great variety of machines that: 1. clean, 2. de-stone, 3. peel, 4. slice, 5. cut into sticks or cubes, roots, vegetables and fruits. We have a great variety of machines that: 1. clean, 2. de-stone, 3. peel, 4. slice, 5. cut into sticks or cubes; roots, vegetables and fruits. The easiest way to come to the right choice of equipment is to show you the different end results and from there you go to the required equipment. Look for the required result and click the picture. Products that are roundish and internally homogeneous, like: potatoes, beets etc. Dirty potatoes freshly harvested or out of storage, have to be de-stoned and cleaned to avoid damaging the processing equipment. Before cleaning, potatoes have to be de-stoned. Once they are free of stones and or lumps they can be washed. You may also polish them if they go to the fresh market. Once the potatoes are de-stoned and cleaned, they can be peeled using abrasive material or using knifes. Peeling can be done in batches or continuously. Once the tubers are clean and peeled they can be sliced. Slicing is cutting in 1 dimension. 1 knife set is needed. Once the tubers are clean and peeled they can be cut into sticks. Cutting into sticks is cutting in 2 dimensions. 2 knife sets are needed. Once the tubers are clean and peeled they can be cut into cubes. Cutting into sticks is cutting in 3 dimensions. 3 knife sets are needed. Products that are roundish and internally no homogeneous, like: onions, fennel etc. Dirty recently harvested (or coming from storage) onions have to be treated before processing. Before onions can be processed they have to be topped and the loose skin has to be removed. Because of their structure peeling onions is complicated. Click equipment and have a look. Once the onions are topped and peeled they can be sliced. Slicing is cutting in 1 dimension. 1 knife set is needed. Because of their internal structures onions cannot be cut into sticks. The result is an utter mess. Despite their internal structure products like onions can be cut into cubes. The result is not cubes per say, but homogeneous small pieces. Products that elongated, homogeneous or not, like: carrots, paprika, yucca, parsnip etc. Dirty carrots freshly harvested or out of storage, have to be de-stoned and cleaned to avoid damaging the processing equipment. Before cleaning, carrots have to be de-stoned. Once they are free of stones and or lumps they can be washed. You may also polish them if they go to the fresh market. Once the carrots are de-stoned and cleaned, they can be peeled using abrasive material or using knifes. Peeling can be done in batches or continuously. Once the carrots are clean and peeled they can be sliced. Slicing is cutting in 1 dimension. 1 knife set is needed. Once the carrots are clean and peeled they can be cut into sticks. Cutting into sticks is cutting in 2 dimensions. 2 knife sets are needed. Once the carrots are clean and peeled they can be cut into cubes. Cutting into cubes is cutting in 3 dimensions. 3 knife sets are needed. The equipment shown on the next pages can do all this with potatoes, onions, carrots, fruits and many other vegetables. Just take a walk through a super market and note the price difference per kilogram of unprocessed products, like whole potatoes, onions or carrots and the sliced, cut or diced products packaged in small plastic bags, (sometimes under vacuum), ready to be used by the housewife. People are willing to pay a significantly higher price for this convenience. Maintenance is minimal, handling is simple and changing knife-sets is quick and easy. Note: We get many requests for this kind of equipment but people do not realize the capacity of these machines. This is industrial sized equipment. By this we mean that their capacities are of 800 kilogram per hour and upwards. If you only need a couple of kilos per day it is just not economical to buy this equipment.